Just Press and Print! 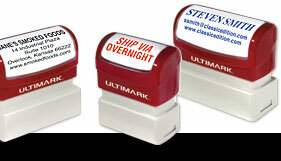 It's that simple with Ultimark pre-inked stamps. 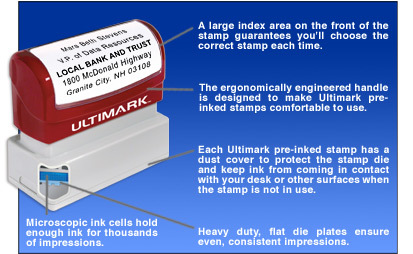 You don't need a separate stamp pad because the ink is in the stamp. 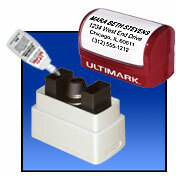 You'll get clean, crisp impressions every time you use your Ultimark pre-inked stamp. 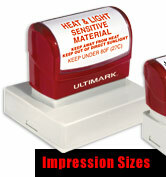 After thousands of impressions, just re-ink your stamp for thousands more.